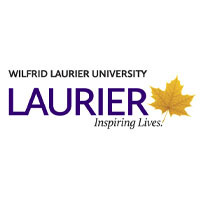 Wilfrid Laurier University is a leading Canadian university renowned for its extraordinary learning environment and student-focused educational experience. As a comprehensive university with more than 19,000 students, Laurier has grown rapidly in research intensity while also preserving a well-earned reputation for undergraduate teaching and learning excellence. Laurier’s Faculty of Science has seen substantial growth in recent years and now consists of more than 3,800 full-time undergraduate and graduate students and over 100 full-time faculty members. The Faculty offers 31 undergraduate and graduate academic programs across seven academic departments and is home to several leading-edge research centres. As a leader in higher education for more than a century, the Laurier experience is truly transformative, an ethos which is embodied in their institutional proposition: Inspiring lives of leadership and purpose. Reporting to the Provost & Vice-President: Academic, the Dean, Faculty of Science is responsible for the strategic direction and overall management of the Faculty, ensuring the Faculty’s research, teaching, service, and learning programs align with the University’s strategic direction, Strategic Academic Plan, Strategic Research Plan, and the Faculty of Science Strategic Plan, and fulfilling the University’s objectives as outlined in the Strategic Mandate Agreement. The Dean will serve as an advocate for students and faculty as well as an ambassador for the Faculty with external partners, including other academic institutions, industry, and government. The University remains committed to exploring options for moving forward with Laurier’s planned campus expansion to Milton, and the Dean will play a key role in this and in any related growth efforts. The ideal candidate will possess an academic record consistent with appointment to the rank of Professor at the University and a record of successful academic administrative and leadership experience. The next Dean, Faculty of Science should demonstrate a collaborative and consultative leadership style. The next Dean should have a familiarity with new academic program development and implementation and with program review and evaluation. The ideal candidate will also have a familiarity with strategic and operational planning, budgeting, faculty relations, and human resource processes. With a passion for and commitment to undergraduate and graduate student success and for fostering and supporting student learning, research, experience, growth, and development for all students, the ideal candidate will create strong relationships with faculty, staff, and students within the Faculty and across the University. The next Dean should also demonstrate an ability to identify, develop, and negotiate mutually beneficial strategic partnerships within the Faculty, across the University, and between the University and community, industry, government, educational, and research funding and granting partners. If you are interested in this opportunity, contact Anna Stuart, Jan Campbell, or Robert Fleming at 1-866-822-6022, or please apply online by clicking “Add to List” below, then “Apply Now” on the next page. Members of the above designated groups must self-identify to be considered for employment equity. Candidates may self-identify, in confidence, by filling out a Self-Identification Questionnaire, which will be provided by KBRS to all applicants.